Well here we go, the very first Distillery Focus feature. It took us a little longer than we had planned, but EWB always delivers eventually. 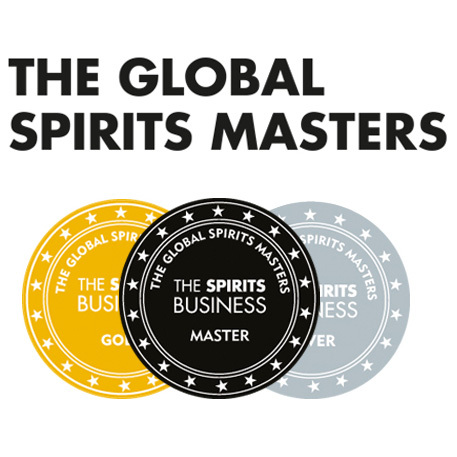 We had made a conscious decision to focus on distilleries that perhaps do not have the highest profile in the UK, so hopefully our readers can branch out and try something that is not their norm. A very short bit of background first, Tomatin distillery was formally founded in 1897, though there is a history of illicit distilling in the area going back to the 15th century. The distillery lies just about exactly half way between Inverness and Aviemore and just west of Loch Ness. It is quite a large distillery with 12 stills operating, though not always at maximum capacity. It is a key component in the celebrated Antiquary blend and has the Japanese parent company of Takara Shuzo and Okura. It is a popular single malt in Japan but the distillery itself is holds firmly to its roots, with the core workforce actually living on the distillery estate. But without further ado, onto the questions we posed to the good people at Tomatin. 1. There has been lots of chat in the news over the last few months about how extreme our winter weather has been. How are things looking up in Tomatin? Causing any problems around the distillery? Being 315 meters above sea level we do get our fair share of snow during the winter months. We have had to cope with a fairly substantial snow fall this year, in fact the first real snow fall was in the 3rd week of December and there is still a reasonable amount of snow at the distillery. Thankfully we have not had any problems with warehouse roofs collapsing but unfortunately we did have to delay the start of production this year as we spread effluent to land which you cannot do in the snow. 2. Earlier this year you relaunched your products with updated packaging. When you redesigned did you look to any specific markets? Apparently your whisky is very popular in Japan, did that influence your thinking in any way? We are currently selling Tomatin in 25 countries throughout the world with the USA, Japan and Sweden being our biggest markets. The other 23 markets represent only a small portion of our business so naturally we looked towards the bigger markets when developing the new packaging. We opted for the ‘less is more’ approach by adopting a sophisticated and simplistic design. The classic typography also help to give the brand a more stylish and premium look. 3. In addition to your packaging rebrand, we saw the launch of a 15 year old Tomatin. Edinburgh Whisky Blog tasted it recently (see below! ), how has it been received in other quarters? The 15 year old has been very well received by consumers. It fits nicely into our range as it has a different taste profile to the other Tomatin expressions. Our 12 year old is a lightly sherried whisky , the 18 year old is much more heavily sherried and our 25 year old has a real depth in character which comes from the north American oak casks that we use in maturation. The 15 year old on the other hand is matured in refill bourbon casks and is light , delicate and fresh so I think it offers Tomatin drinkers something a little different. 4. I can buy (well I could if I had the money!) a bottle of 30 year old Tomatin for under £200, whereas the equivalent age of Macallan (£300+) or Ardbeg (£700+) would cost me much more. Why is it that your older vintages are so competitively priced? I am not sure that I agree that Tomatin vintages are much more competitively priced than other whiskies of a similar age. You can also get 30 year old official distillery bottlings of Highland Park , Benriach and Glenfarclas for under £200 and I am sure that there are many more in the same price bracket. I think that this is actually quite a complicated area and I believe that there are a number of different factors that contribute to how a bottle of single malt is priced. I suppose it’s up to the consumer to determine what he/she thinks is good value for money. At the end of the day we want consumers to buy our whiskies and drink them. Do I think that a £300 bottle of Macallan 30 year old is better than a £180 bottle of Tomatin 30 year old? Well no I don’t but then I would say that! Is it easier to sell a bottle of Macallan 30 year old at £300 than a bottle of Tomatin 30 year old at £180? Well I think it probably is because Tomatin is still a bit of an unknown quantity. The bottom line is that I can assure consumers that £180 for a Tomatin 30 year old is money well spent. 5. The single malt industry seems to be tending towards limited releases of single cask whiskies, and that is a trend that Tomatin have embraced. Another pattern would appear to be the use of cask finishes – any thoughts on types of cask that you think would work particularly well with the Tomatin spirit? It is something we have explored and in actual fact we are just in the process of releasing a Tomatin 1999 single cask that was finished in a Tempranillo wine cask. It think that it works really well, it is quite sweet but also has a spiciness about it. In my opinion Tomatin is a very versatile malt and would work well with various cask types , however , I don’t think you will see a lot of different Tomatin finishes although it is something we are experimenting with and I have no doubt there will be one or two from time to time. 6. We read that you have been producing a more heavily peated spirit for the last few years. Is this purely destined for blending or can we look forward to seeing a single malt release in the future? That is correct, our last week of production in December is exclusively for a lightly peated Tomatin (15ppm). Originally the idea was that it would all be used for blending purposes, however, having sampled some of the stock from 2005 which has been matured in first fill sherry butts, I can say with some confidence that you will see a peated Tomatin release at some point in the near future. 7. Apparently you are one of the few distilleries to feature a resident cooperage. How does that help you on a daily business? We employ 2 full time coopers at the distillery as we are committed to using only the very best wood for maturing our whisky. These guys help to ensure that we have a consistency with our casks and that only the very best wood is used at the distillery. 8. In addition to that cooperage, Tomatin also boasts a visitor centre. There has been quite a bit of discussion about tourist numbers in Scotland this year with the economic downturn being balanced by the strength of some foreign currencies against the pound and the Homecoming Scotland initiative. How has your visitor centre fared against previous years? Our visitor centre had a very good year in 2009 and visitor numbers were up from 22,047 in 2008 to 25,875 in 2009. We also saw a rise in turnover of 6%. 9. One of our readers told us of a time when he took a bottle of Tomatin to Costa Rica, and apparently it went down a storm but is unavailable to buy there. How you decide which markets to focus single malt sales in? We do a fairly in depth analysis into consumption trends within certain markets in order to decide whether it’s worthwhile sourcing a distributor there. It would be great to have a presence in more markets but we are still seeing substantial growth in markets where we have been established for a number of years and its part of our strategy to continue to grow these markets. I think as the company grows over the next 5 years and we bring in more resources then you will see Tomatin becoming available in more markets throughout the world. 10. The 12, 15 and 18 year old Tomatins all carry the little German sentence that indicates the presence of caramel. The use of this colouring has been controversial at times within the industry. Do you have any thoughts on this? Firstly I would like to clarify that we do not use caramel to colour our 15 and 18 year olds (EWB’s mistake apparently! Oops. ).That is not to say that we wouldn’t in the future should it be deemed necessary. I don’t think that there is anything wrong with adding caramel as it is after all only to help gain a consistency in colour and should not affect the taste. That said I do think that it would be nice to produce whiskies that are 100% natural. The problem is that some consumers become suspicious when there is not a consistency in the colour of the whisky. I think that as consumers become more educated about malt whisky you may well see more distilleries opting not to use caramel. Now I know that we promised the Distillery Focus feature would include a tasting, and that is certainly our plan. 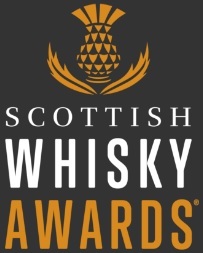 On the other hand, this has been a pretty long post already thanks to the very interesting and detailed responses from Tomatin, so I think we’ll leave it here. That tasting has been done, and will appear here in the next couple of days. Myself and Chris tasting the 12, 15 and 18 year old Tomatins alongside each other, so look out for that soon. It just remains to say a massive thank you to Tomatin distillery for answering our questions honestly and in such depth. If every distillery we contact responds with such enthusiasm and candour, I think we could have a real success on our hands with this feature! This entry was posted	on Thursday, March 4th, 2010 at 3:40 pm	and is filed under Miscellaneous. You can follow any responses to this entry through the RSS 2.0 feed. Responses are currently closed, but you can trackback from your own site.